We love doing cool stuff on the web. Web development is our passion.Wide breadth of Wordpress development and theming services. Ensuring robustness & scalability of themes, our proficient developers provide WordPress theme customization of the highest eminence. Plugins are developed to suit the demand that are to be fulfilled over the particular websites. Services are thus rendered accordingly. If you have any bug or issues with your WordPress website, let us know. 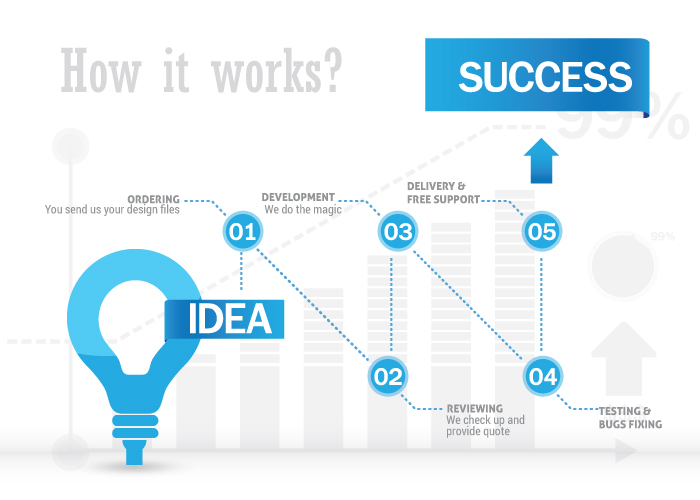 We provide website support on fixed cost or monthly basis. We've dedicated support staff to ensure your website is up. We do programming on various platforms and frameworks. Apart from WordPress, we do Joomla, Drupal, Magento, Prestashop etc. We do custom programming in PHP. We make it possible for you to outsource WordPress Developers with complete hiring flexibility i.e. on part-time, full-time and hourly basis, according to your project demands. Our aims to deliver highest quality benchmarks for the assigned duties to meet the 100% client satisfaction. We not only do SEO friendly websites for you, but also can help you do a better SEO on your existing websites. We do on-site and off-site SEO for your websites and help you rank high on google.